Currently, I am homeschooling my preschool-aged son. Our first theme unit is apples (oh how I love them so! ), so this week on It's Playtime, I'm featuring some of my favorite apple themed projects to get us all in the mood for this yummy and versatile fall treat. Apple-Stamping is a preschool favorite, but I love the addition of real leaves that the kids at happy hooligans added to their artwork. Over at Pre-school Play, they created Apple Themed Playdough. 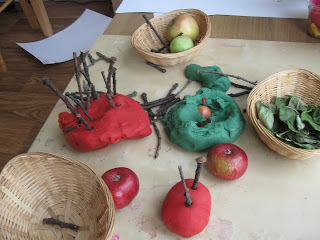 Besides the red and green dough, they added natural play elements such as twigs, leaves, and little apples. 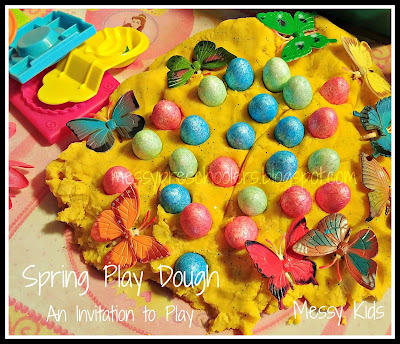 A great sensory play experience for little ones. I love this Apple Tree Felt Game created by the Iowa Farmer! A fun way for little ones to recognize big 'A' and little 'a'. 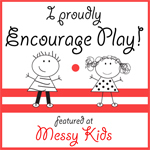 Easy, play-based fun. 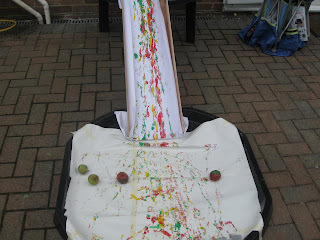 I don't usually feature the same blog twice but I just loved this Apple Rolling project from Pre-school Play! 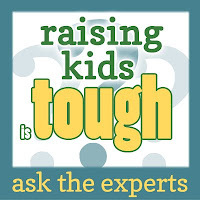 If you don't have a slide, that's OK, simply allow your child(ren) to roll the apples around on some paper or in a box (similar to marble painting). I have to say this project makes me want to buy a little plastic slide simply for painting purposes! 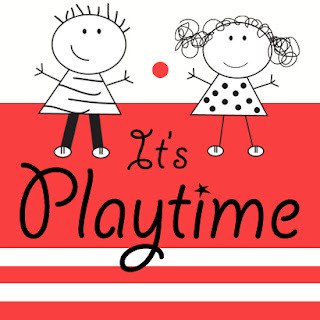 It's Playtime: Let's Get Silly!